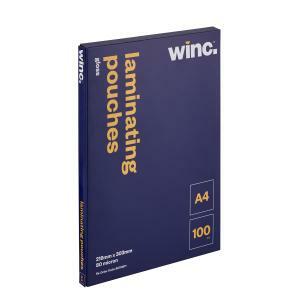 The Winc Gloss Laminating Pouches A4 80 Micron are ideal for laminating documents, letters, signs and more. Rounded corners for extra safety, compatible with most hot laminating systems. The convenient, perforated flap allows easy dispensing (and shelf storage) of these quality gloss pouches.